If you’re looking for military discount shopping opportunities, you’ve come to the right place. MyMilitarySavings.com is the #1 website that military families turn to for discounts and savings on everything from groceries to apparel to cruises. Since our company was founded in 2011, we’ve worked hard to build a carefully constructed network of manufacturers, retailers, and organizations to bring you coupons, deals, and specials for maximum savings. Plus, you’ll also be able to reap the benefits that come from being a part of our huge virtual community. Not only does our website feature numerous savings opportunities, but we feature blogs written by military spouses located all around the world offering valuable information on everything from healthy eating to challenges you might expect when PCSing in a foreign country to easy crafts for the kids. Additionally, our exciting Facebook and Pinterest pages give you even more opportunities to connect with like-minded individuals who face the same challenges as you, providing you with the chance to make friends, no matter where you are. 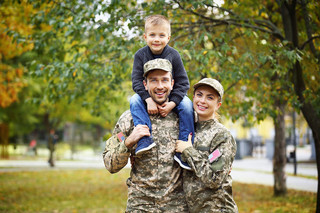 To learn more about discount shopping at military commissaries and exchanges, and also about the numerous additional benefits you’ll enjoy when you join MyMilitarySavings.com, head on over to our sign up page. Membership is free and easy!